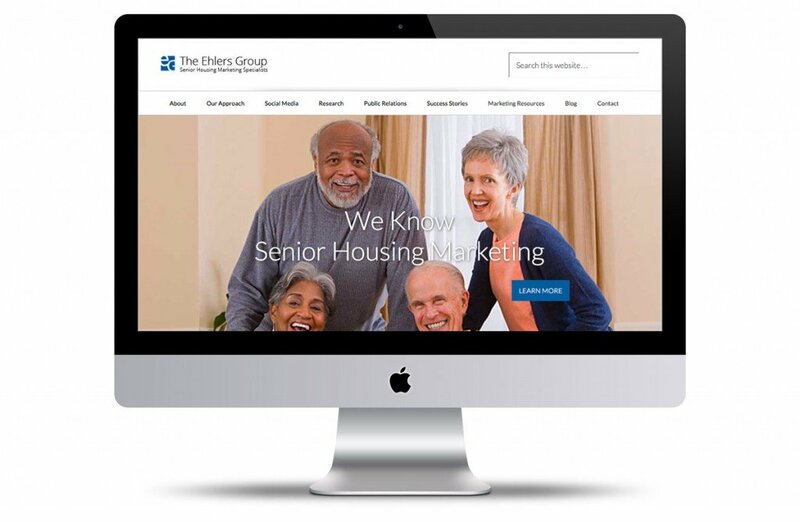 The Ehlers Group, a senior housing marketing agency based in Fort Lauderdale, Florida selected Vortex Communications to put a new face and structure on their WordPress website. The Vortex creative team developed a custom design from scratch to ensure a unique look and feel. In terms of time, the job was front-loaded. To add value, we identified an existing WordPress website framework to help keep production costs down, while speeding up the build. Vortex also identified and selected a reliable set of plugins to add functionality. Although WordPress is fairly easy to use, we offer all our clients training on content adjustments. On this project, Vortex coached the Ehlers team on blog strategies and the use of relevant keyword phrases to help leverage their case history and resource content for search engines. Janis Ehlers, founder and owner of The Ehlers Group best sums up the Vortex process and design work, “…We love it”.